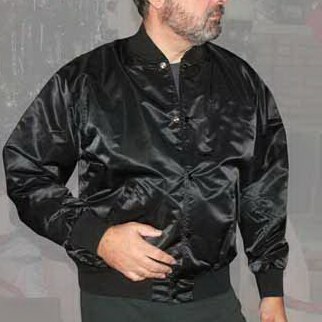 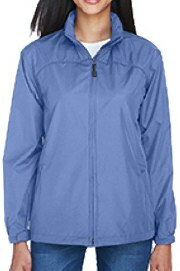 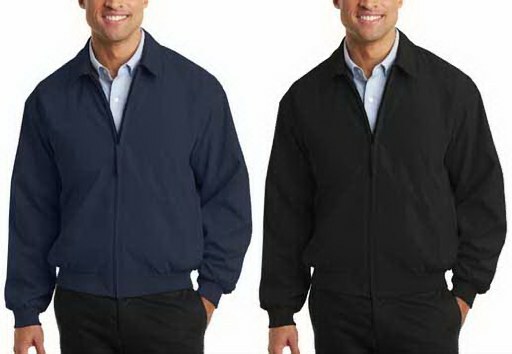 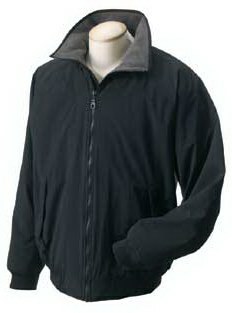 100% polyester microfiber with nylon lining, wind and water-resistant with polyester sleeve lining, InconspicuZip™ for easy embroidery, raglan sleeves and relaxed elastic waistband and cuffs, inside left-chest pocket with Velcro® closure, contrast inside collar band and under collar, two front pockets and button tab on collar ... this jacket style has extra body room. 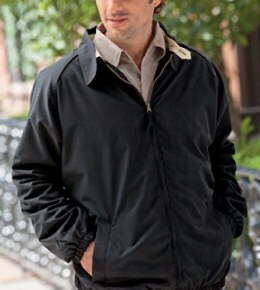 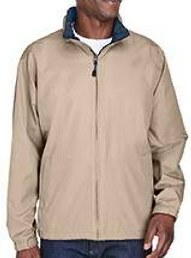 J730 Port Authority® Casual Microfiber Jacket. 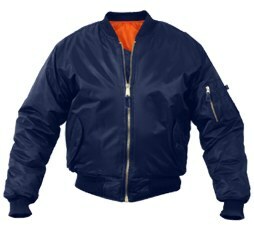 The MA-1 Flight Jacket features a ribbed collar, 100% Nylon water repellent outer shell, Poly fiberfill lining and 4 front slash pockets. 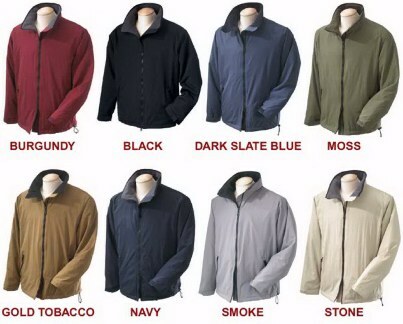 Rothco's Flight Jacket has an extra full cut and is available in sizes from Small through 3XL, sizes and colors do vary. 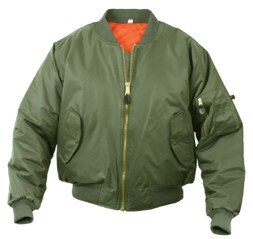 The MA-1 Flight Jacket features a ribbed collar, 100% Nylon water repellent outer shell, Poly fiberfill lining and 4 front slash pockets. 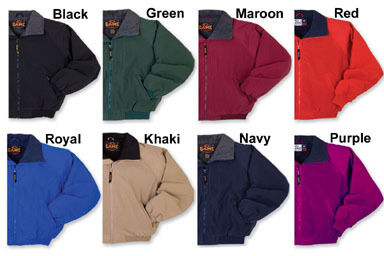 Rothco's Flight Jacket has an extra full cut and is available in sizes from Small through 8XL, sizes and colors do vary. 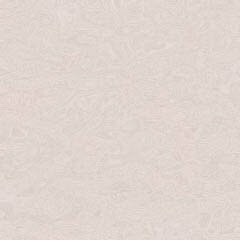 Moss, Gole Tobacco, Smoke, Stone, Black. 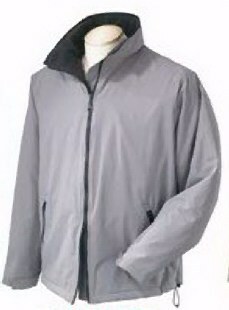 100% Taslon nylon shell; outside zip pockets; inside zip security pocket; raglan sleeve; nylon-lined sleeves for easy on/off; sturdy black enamel front zipper. 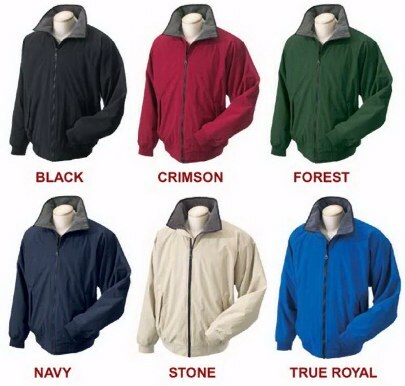 Colors: Black, Crimson, Forest, Navy, Stone, True Royal. 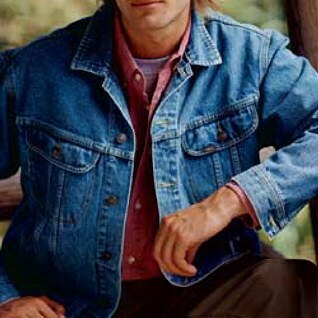 A true classic, our denim jacket overlooks no detail: stonewashed, broken-in denim, silver buttons and chest pockets. 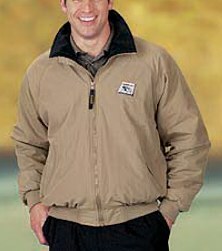 PRICES DO NOT INCLUDE SALES TAX, SHIPPING & HANDLING CHARGES.